Die Button Shims allow users of sharpened die buttons to compensate for removal of metal on cutting surface, and quickly and easily adjust height of die buttons. 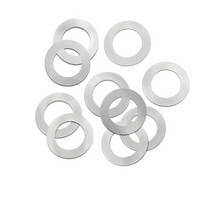 Shims are offered in 0.005 and 0.015 in. thicknesses for button sizes of 1/4, 5/16, 3/8, 7/16, 1/2, 5/8, 3/4, 7/8, and 1 in. 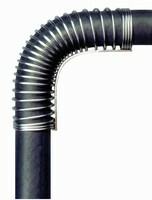 Made of hardened steel, they maintain precision thickness under heavy pressure. Shims are sold in 50 piece packages of individual size or a 450 piece assortment. 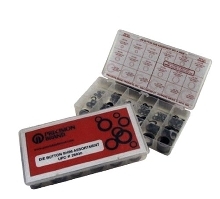 Precision Brand(R) Die Button Shims quickly and easily adjust height of sharpened die buttons. These shims extend the "life" of a die button. They allow users of sharpened die buttons to shim under their button to compensate for the removal of metal on the cutting surface. Die Button Shims save time over hand punched custom shims. Each shim's large I.D. 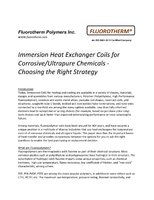 accommodates multiple size die openings, which reduces the risk of "slug stacking". Shims are offered in .005" and .015" thicknesses for the following button sizes: 1/4", 5/16", 3/8", 7/16", 1/2", 5/8", 3/4", 7/8" and 1". They are made of hardened steel, which maintains precision thickness under heavy pressure. Die Button Shims are sold in 50 piece packages of an individual size or a 450 piece assortment which includes 25 pieces of each button size and thickness.